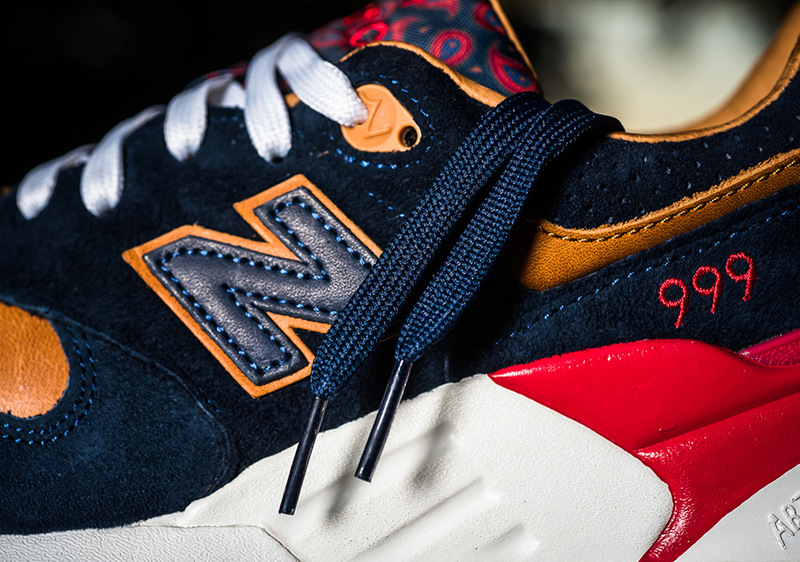 What's the story behind this crime scene-themed sneaker? 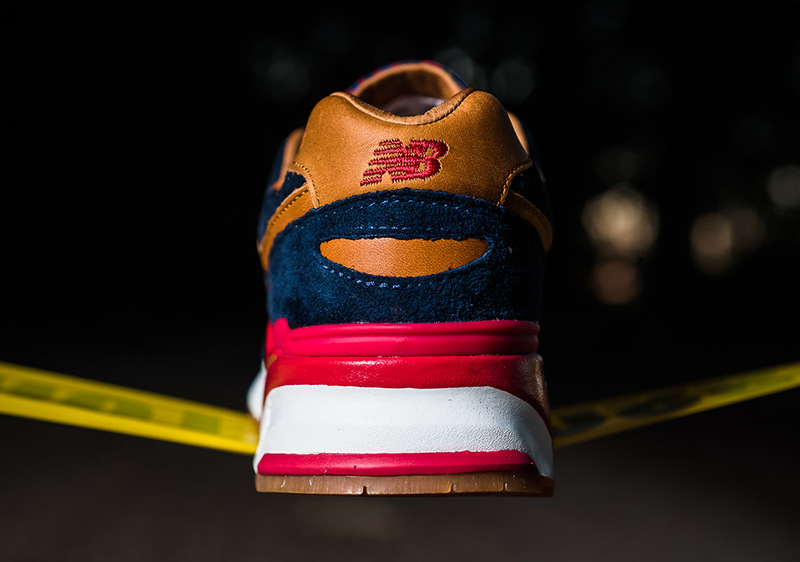 Sneaker Politics is dropping a new collaboration with New Balance this upcoming weekend. 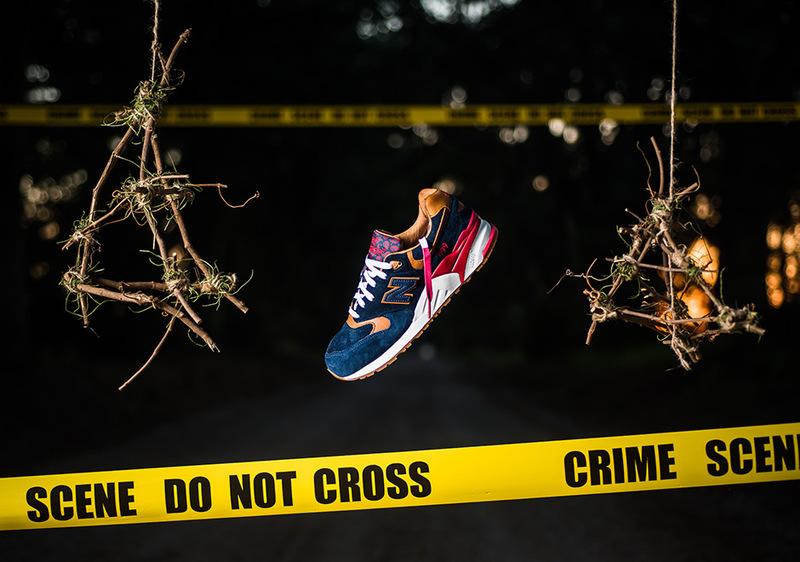 After previously teasing the project with crime scene-based imagery - with possible hints to HBO's True Detective - details have now been unveiled on their #case999 collab. 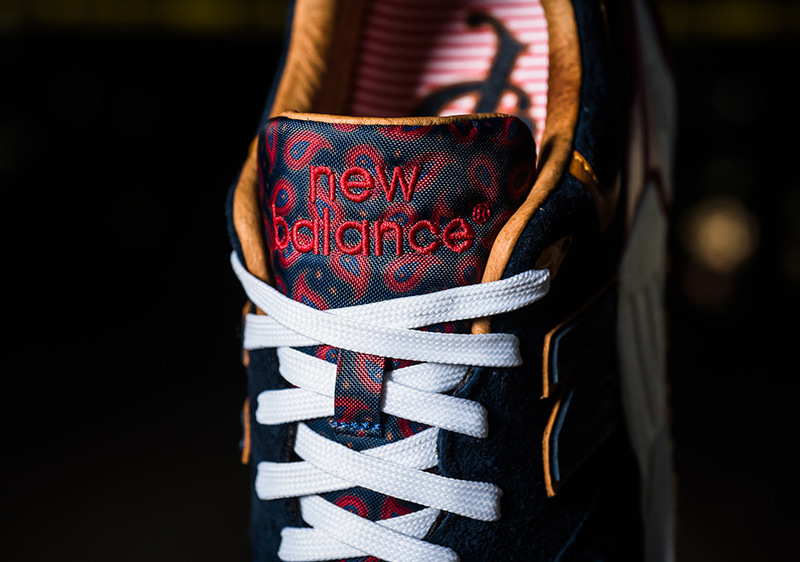 This New Balance 999 features a navy suede upper with a paisley tongue, brown leather detailing and a striped tongue, in a nod to the outfits worn by detectives. 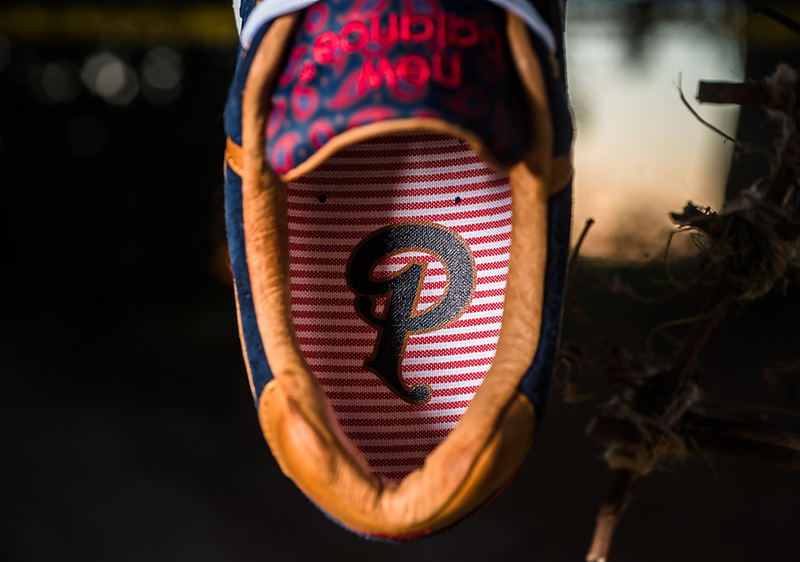 The shoe releases this Saturday, 9/26, both online and in store, and will be available in sizes 6-14, with a retail price of $165. 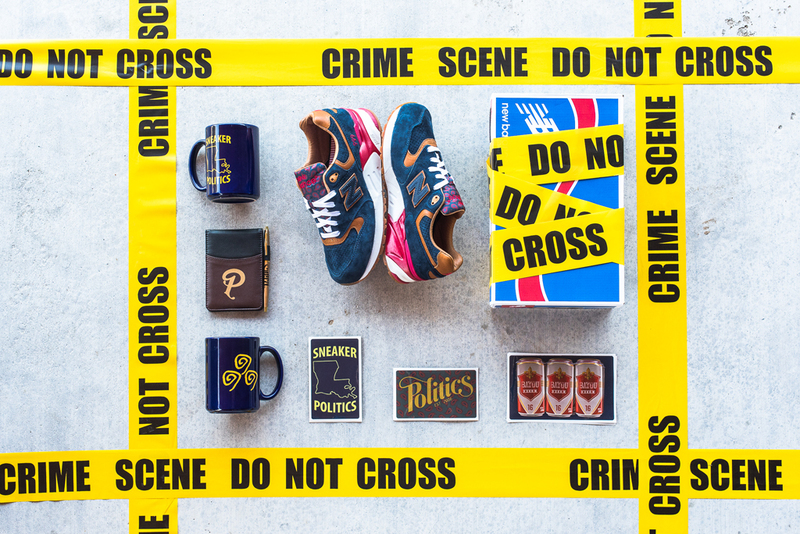 UPDATE 9/23: The first 50 in-store customers at Sneaker Politics' Lafayette location as well as the first 50 online customers to purchase the #case999 will have their pairs come in special packaging with extras.